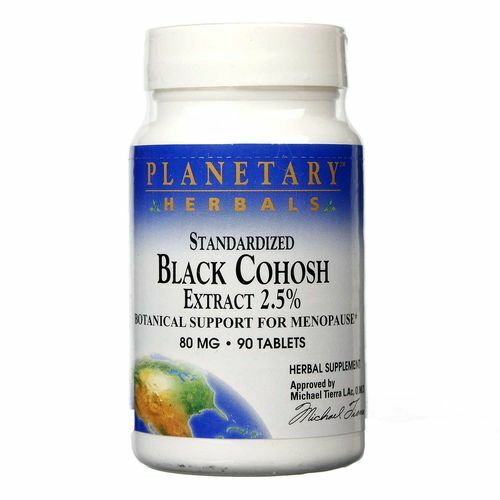 Planetary Herbals Standardized Black Cohosh Extract 2.5% contains a broad spectrum of the valuable triterpene glycosides. Advertências: Not for use by women of childbearing age. 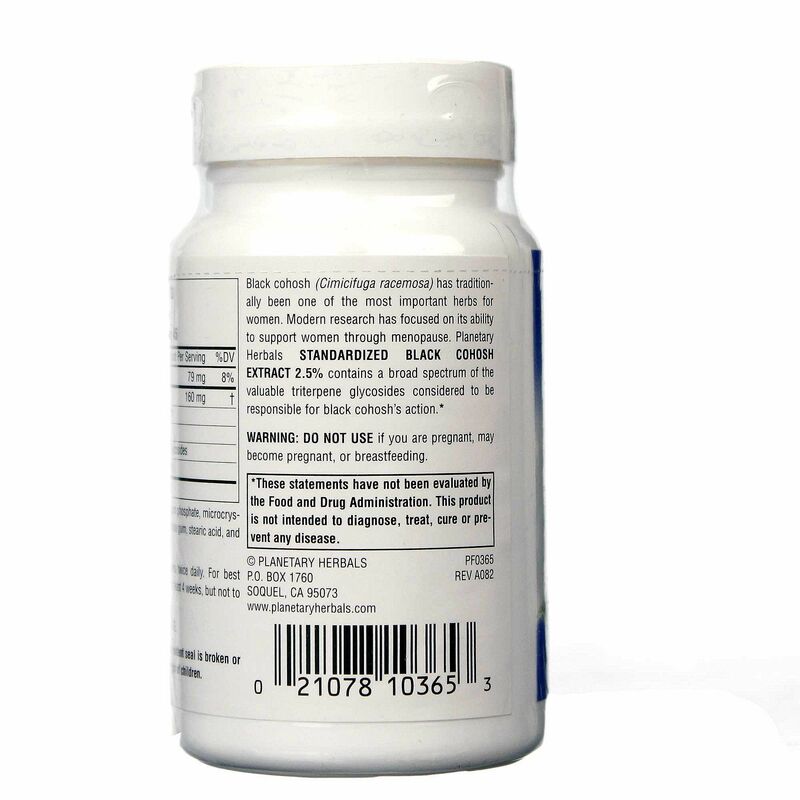 DO NOT USE if you are pregnant or breastfeeding, or if you may become pregnant. 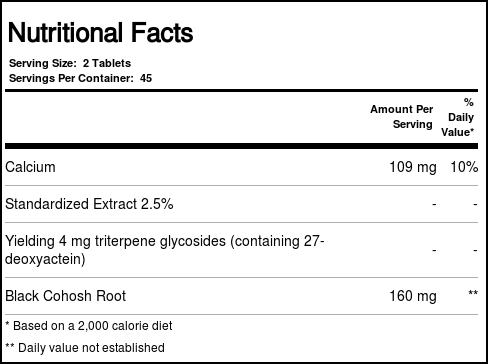 Notas: Read label carefully before consuming. 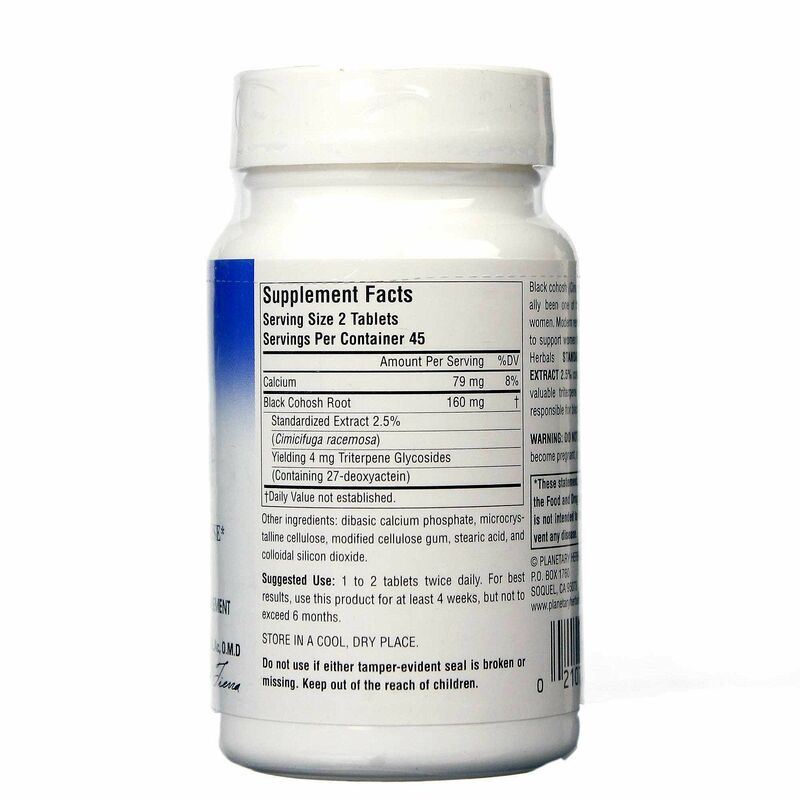 Recomendações de uso: 1 to 2 tablets twice daily, or as recommended by your health care professional. 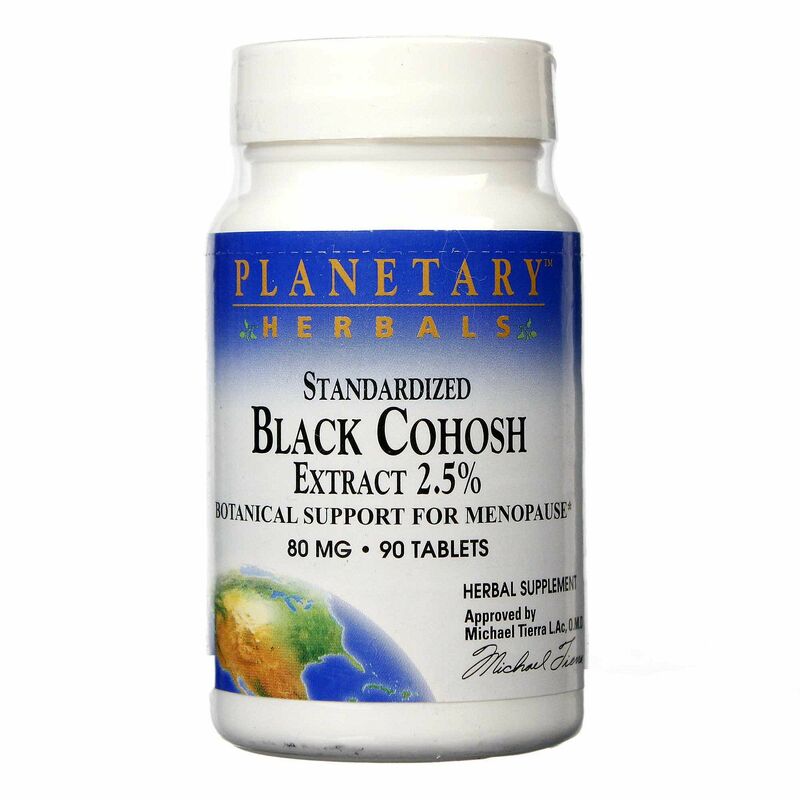 For best results, use this product for at least 4 weeks, but not to exceed 6 months.